B.Sc and M.Sc in Physics at the Technion. Participated in the excellence program: 2012-2015. During high school I self-studied a variety of topics (both basic and advanced) in several fields of physics, mainly focusing on the general theory of relativity and trying to come out with interesting questions and new directions of research. After working with and being guided by Prof. Avshalom Elitzur, I reached Prof. Amos Ori from the Technion who specializes in the theory of general relativity. During my undergraduate studies in the program (and a little bit during my military service before that), Prof. Ori and I investigated several aspects of black holes, concentrating on classical phenomena (i.e. effects that do not result from the quantum nature of matter and gravity). This research was published in two papers. Later on, I continued to work under the supervision of Prof. Amos Ori during my Master’s degree. This time, we focused on the quantum aspects of black holes. Specifically, we analyzed the effects of quantum phenomena (such as the well-known Hawking radiation) on the internal structure of black holes. This study was published in several papers. As of now, I am a PhD student at the Technion’s string theory group. Under the supervision of Prof. Shlomo Razamat, I investigate various interesting aspects of quantum field theory, such as dualities between very different-looking quantum field theories, supersymmetry, quantum field theories in higher dimensions, etc. We already discovered some interesting phenomena that happen in certain quantum field theories in the regime where they are strongly coupled (i.e. where the interactions are very strong). Recommendation to program participants: My best advice will be to try to take advanced courses and have a real research as soon as possible. In my opinion, focusing on research is much more important than focusing on grades. 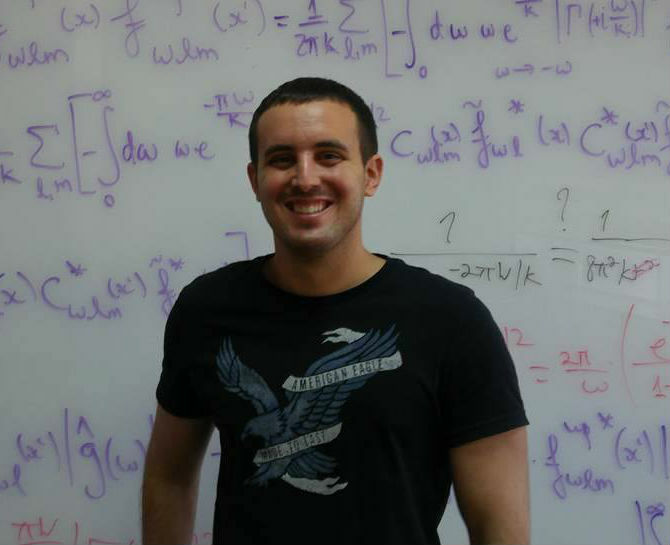 Today (2017): I am a PhD student at the Technion’s string theory group, under the supervision of Prof. Shlomo Razamat.